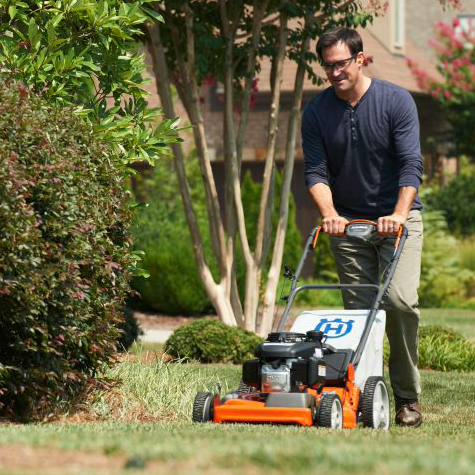 Which type of lawn mower is best for your garden? 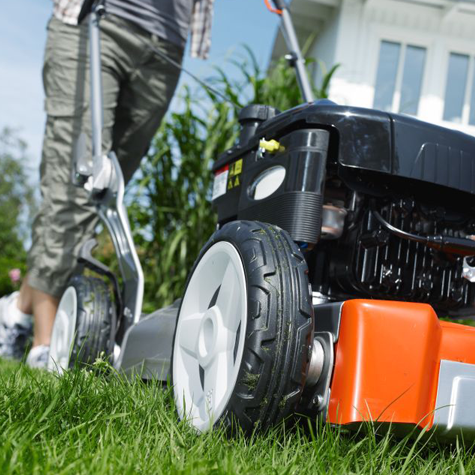 Deciding between an electric, battery powered or petrol lawn mower really comes down to how big your lawn is. 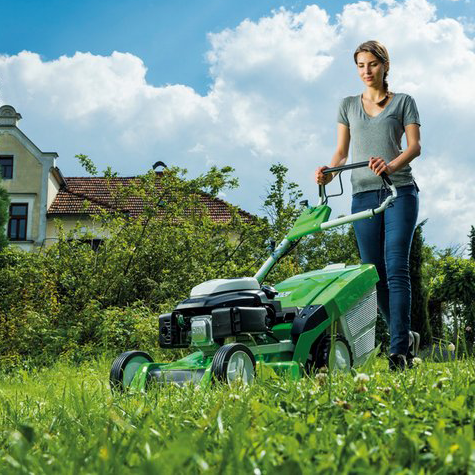 Choosing the right lawn mower for your garden can be a difficult decision, our helpful guide will help you find the right mower to keep your grass looking lovely all year round. Below are some popular features and their definitions. This is the width of your lawn mower’s blade. Generally ranging from around 30cm up to 54cm. This determines the height your lawn is cut to. Generally ranging from 25cm to 90cm. These start at about 30 litre up to 80 litre capacity. The smaller the collection box the more frequent you will need to empty it. This is where the grass cuttings are stopped from going into the collection box and stay within the blade area which then cuts the cuttings very finely and are dropped back onto the lawn which then acts as a natural nutrient for your lawn. 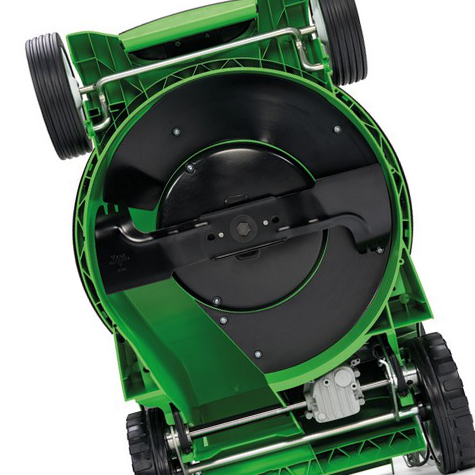 Often mowers that have the mulching option also come with a side discharge option which is where the grass cuttings are simply dumped to one side of the mower as you cut. 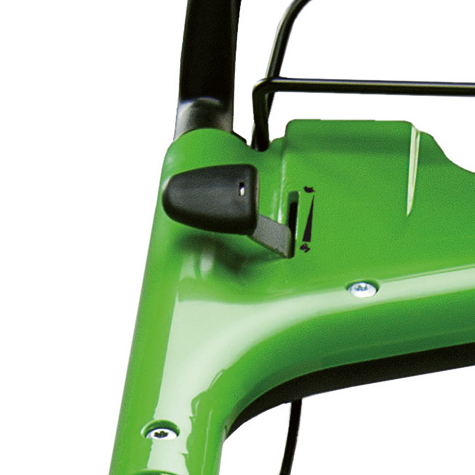 These lawn mowers propel themselves taking the stress off the mower operator, making easier work of cutting the grass. Consider this if you have back problems or a large lawn to mow. Bear in mind that most self-propelled mowers have a set speed that is roughly equivalent to walking pace. 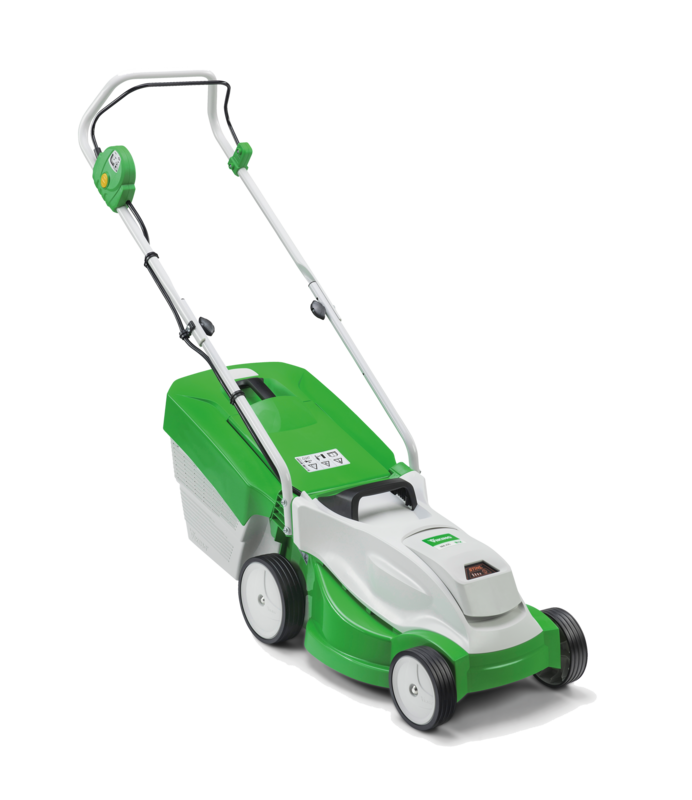 Electric lawn mowers are the obvious choice for smaller family sized lawns as they tend to be lower in cost, easier to store and lightweight but require a power socket close by to start mowing. 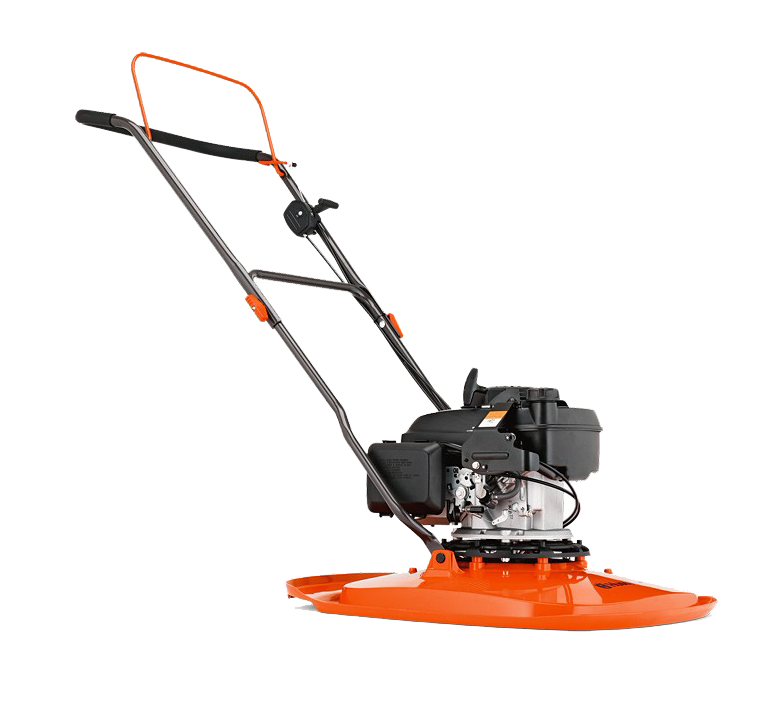 Electric mowers take out a lot of the hard work associated with hand push along mowers. 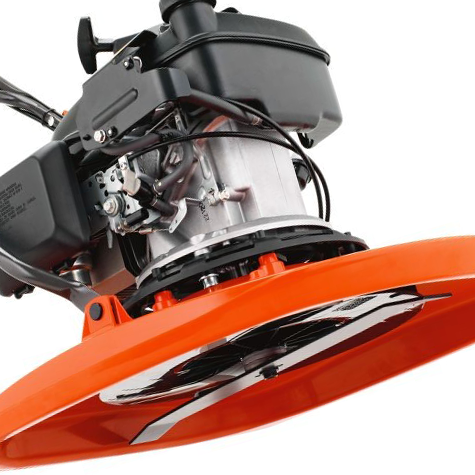 Electric mowers are fairly maintenance free and require a lot less looking after than petrol mowers, plus they are generally a lot cheaper too. The only drawback is that you need a power socket nearby, and often a long extension lead. Some people don't like this as it can be a pain having a long cable around when mowing, and also it's not safe to mow when the lawn is wet. A circuit breaker (RCD) should always be used when using an electric lawn mower. The power of the motor of an electric lawn mower is generally in watts. The higher this figure the more powerful the motor will be. 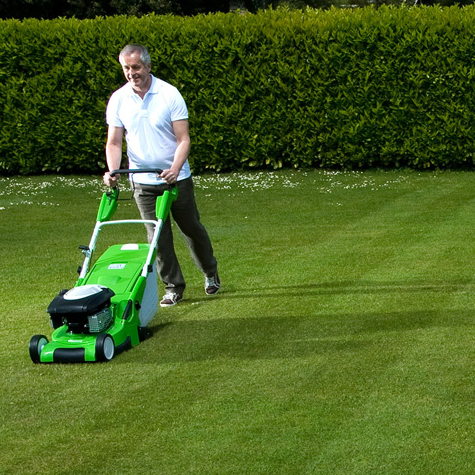 If you've got a medium sized lawn then generally a cordless battery or petrol lawn mower would be the best choice. 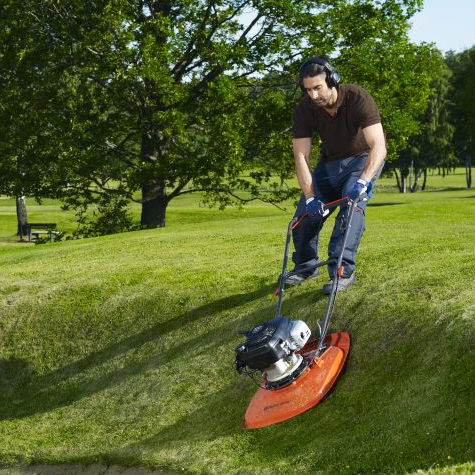 Cordless battery powered mowers are easier and safety to use and give you the freedom to mow without any cables getting in your way or risk of running over them. 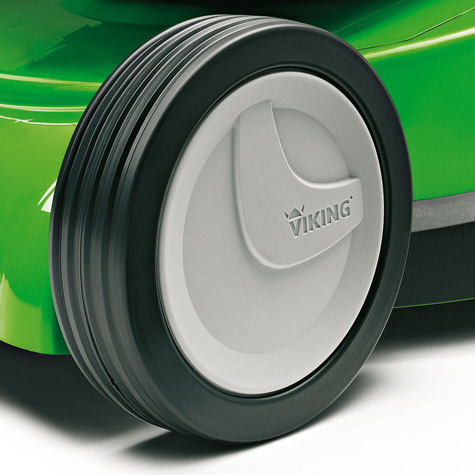 Cordless lawn mowers are becoming more and more popular as battery technology allows greater power and longer running times. The main feature of a cordless lawn mower is the ability to mow your lawn with complete freedom as threre's no cable to limit how far you can go and obviously doesn't require a power socket to use. Charging and running times vary from model to model so always check this. 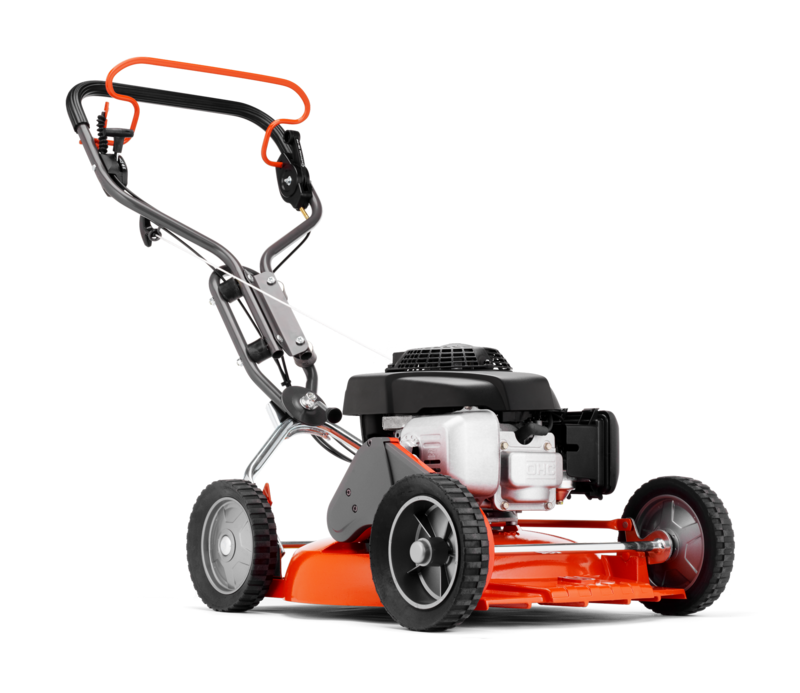 The running time will reduce based on the amount of work the mower motor has to do, for example, the length of the grass or if the grass is slightly wet. Most models come as 'body only' which means you have the choice of buying different battery strengths depending on your requirements. 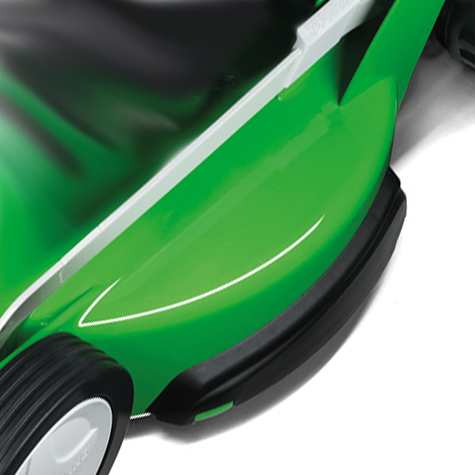 Petrol lawnmowers are the perfect choice if you have a large lawn or if you're a professional gardener. They are now becoming more popular as they become cheaper to purchase and easier to look after. 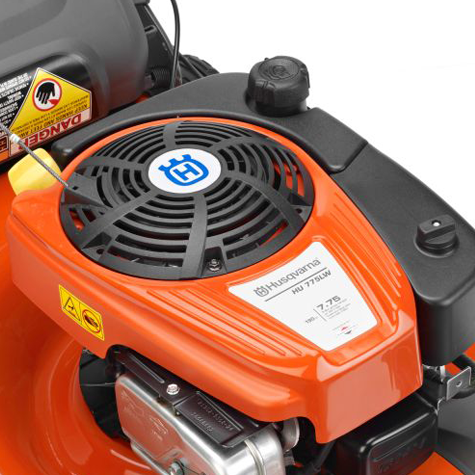 Most modern petrol mowers have 2 stroke engines. 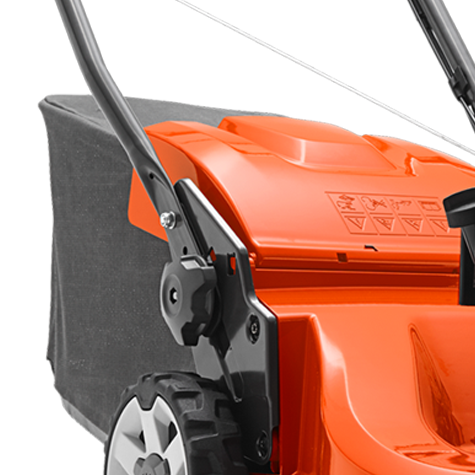 The main benefit is that a petrol mower can go anywhere as it's not tied to a power outlet and can generally cope with longer grass due to the extra power of the engine. A self propelled lawn mower directs some of the power from the engine to drive the wheels making it easier to push. 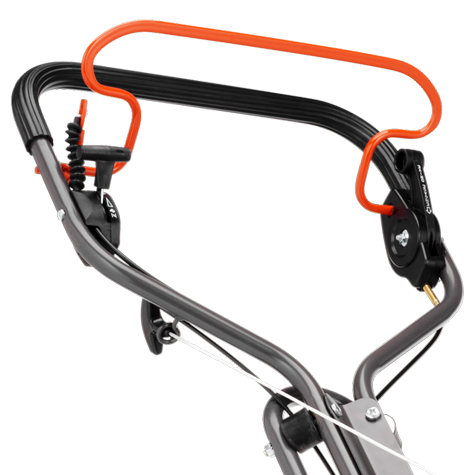 This is especially useful if the lawn mower is heavy. Engine power will usually be quoted in horse power (hp or bhp), the higher the horse power the more powerful the engine. In a 2 stroke engine, oil is added to the fuel itself before it is put into the mower. 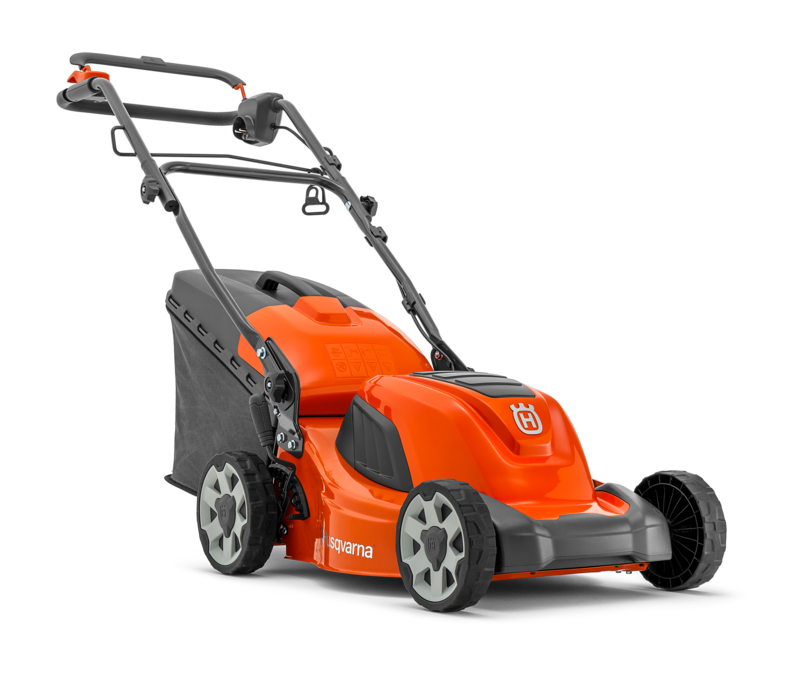 Petrol mowers are noisy compared to other types because of their engines and do require a little more looking after, however a well maintained petrol mower will outlast most other lawn mower types. As the name suggests, these lawn mowers hover just above the grass. They have a rotary blade that floats on a cushion of air, they can be extremely lightweight to push and their easy maneuverability makes them ideal if your garden is oddly shaped, has awkward corners, slopes or an uneven surface. Please feel free to contact us to discuss your requirements or if you have any questions regarding our lawn mower range.